A few months ago, I tore up the list I made for you; the list included all the thing I hoped you would be, it was a huge relief for me because then I don’t have to feel like I was settling whenever I liked someone that didn’t check every box of my well thought out list. I replaced my list of more than 20 items with just two items I think are of utmost importance, I will be sharing those two things with you but first,a few things I have learnt. One, God is preparing me for you and our children, with the lessons learnt in the most unusual ways, I am not great at asking for help when it comes to house chores, I have a system and I don’t like when it is altered, a few weeks ago I felt the unusual desire to ask for help when I was working in the house, I learnt that my system may not always be the best approach and working with another person cuts my work in half, this is making me more open to others suggestions and less stuck up in my ways. I believe this is a vital tool that will keep me from feeling overwhelmed in our marriage. I am seasonal cook, this means that I don’t enjoy cooking day to day, I love cooking only when I feel like, but I am learning to enjoy it on days when I don’t want to cook, learning to find joy in the process of preparing a meal, I am yet to fall in love with the process, I still had bananas and mangoes for dinner last night, but I believe in the not so distant future I will have a workable relationship with cooking, you should bear in mind that there are days when you will have to make meals. 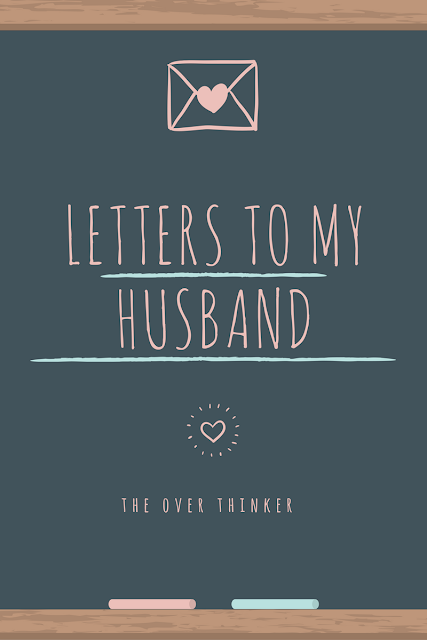 What made tearing up my list easier was the realisation, that God is teaching me how to be a wife and that you are also receiving your own lessons because this isn’t a one way traffic. This was a calm reassurance that God has my back regardless of all the uncertainty that lead to me making the list. So back to the two things that are currently on my list. Firstly that you are willing to grow in God with me, there is so much of God to be explored, so much to learn, unlearn and build from. It is really important for me that you desire to do this, so on days when I am not thirsty enough you will remind me to thirst and I will also do the same for you. Secondly that we help each other with the things God calls us to do, the things we need to do together and those we need to do individually. That we make each other’s ‘’purpose walk’’ easier, that neither of us becomes a hindrance to the other.